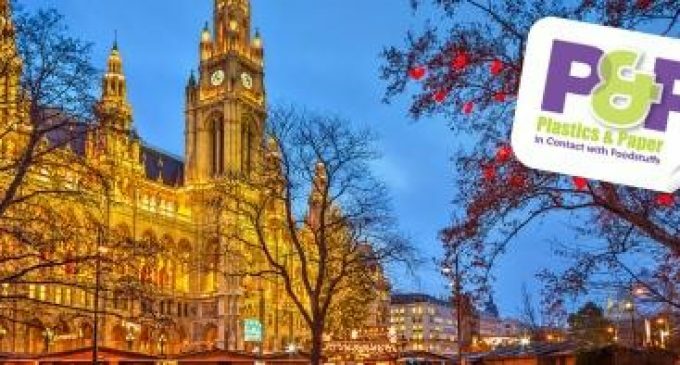 Over 200 experts from across the food contact industry will come together in Vienna, Austria from 3–6 December 2018 to attend Smithers Pira’s P&P (Plastics & Paper in Contact with Foodstuffs) – http://www.foodcontact.com/plastics-paper. P&P will provide an in-depth and timely overview of the latest EU legislation as well as a small focus on global regulations. Described as “The most important event in Europe on food contact regulations” by Dario Dainelli at Polymer Comply Europe, the conference provides delegates with a unique opportunity to stay ahead of the latest regulations in food contact, network with like-minded professionals and discover best practice in the industry. Companies speaking at the event will include BASF, Nestlé, Iceland Foods, Kraft Heinz, Barilla G. e R. Fratelli, Sherwin Williams, The Food and Environment Research Agency (FERA), CEPI and more. With an increased focus for this year on all food contact materials including plastics, paper and materials including NIAS, inks, adhesives, metals and more, the conference will provide a much-needed overview of the sector and the latest EU regulations. Attendees have a choice of attending all three days, or for those with a specific focus, the event has been split into two-day tracks, with day one specialising on plastics, day two looking at plastics, paper and other materials and the final day focusing on paper. Giving delegates the opportunity to tailor their visit at a cheaper rate. Panel session: Shaping the future of food contact packaging in Europe, panellists include Iceland Foods, Nestlé Nespresso, CEPI. Delegates to the conference will also be able to book themselves onto one or both of the pre-conference workshops taking place on Monday 3 December. The morning session “Major regulatory scenarios that have an impact on food contact plastics” will be hosted by expert speakers from Polymer Comply Europe and European Plastics Converters (EuPC), whilst the afternoon session hosted by Dr. Alistair Irvine from Smithers Pira will look at “EU Regulation on Plastics – Solutions & alternative methods”. Brexit – What Now For Scotch Whisky?